The families and farms in these photos have been forgotten. On Monday, 75 Wisconsin family farms received a letter from Grassland Dairy Products Inc, informing them that at the end of this month, Grassland will no longer be able to purchase the milk from their farms. The farms affected by this change have less than 30 days to find a new buyer for their milk. This will be very difficult for most and impossible for many. Unfortunately, this letter will force many of these family businesses to sell their cows and cease dairy farming. The exact number remains to be seen. As you know, the loss of farms has a cascading effect on businesses throughout local communities and our state. Grassland’s letter explains that the company must cut the amount of milk they take in each day due to the loss of a significant portion of their business when Canada suddenly stopped allowing their product to be imported on April 1, 2017. Our Wisconsin family farms and small businesses, as well as agriculture communities across the country, cannot afford to wait on partisan lines or lengthy, unproductive debates that disrupt trade agreements, which are critical to already volatile markets. I am asking you to please, remember these families, these farms who have been forgotten. 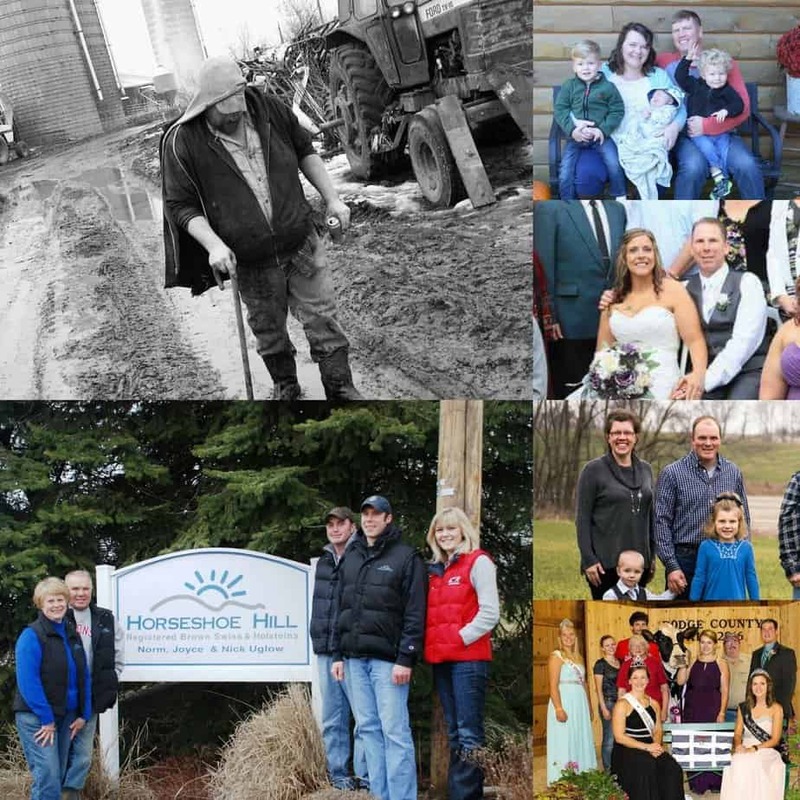 Put aside the partisan politics and work across the aisle to ensure these family farms and countless others across the country — who could soon be in this same position — have not, yet, reached the final chapter of their story. Proud Wisconsin Dairy Farmer and Agriculture Advocate. « Humans of Agriculture- Trevor’s Story. I have yet to seen any articles explaining what specifically triggered Canada’s decision. Have any other processors expressed interest in taking over these contracts. Thanks. BTW, I live in Iowa now and there’s less dairy coverage here. Carrie, exactly what action can we take? Carrie, I am so very sorry about this. Being a farmer seems we are always fighting a battle to survive. Dear Carrie, I farm in Canada, not dairy but cow-calf. I have many friends in dairy here. Supply management has given our dairy farmers market stability. It’s not a subsidy. It works for the farmer and the consumer no matter what anyone might say to the contrary. I feel for you folks. Any country that has abandoned supply mgt ( not yours I realize) has seen its dairy farmers devestated with no end price drop to the consumer. The processors capture any price savings to the consumer. Please don’t blame Canada for American dairy problems. All the best. Is there any specific legislation bills in Wisconsin regarding this yet? I am part of many progressive political groups that will be happy to contact legislators but we need a bill to support or some legislation? Is there any? Sorry, Carrie, but you are mistaken here. Canada did not “stop allowing their product to be imported”. What happened is that the Canadian processor here that bought their product for a while before, has now chosen to buy Canadian product again. http://business.financialpost.com/news/agriculture/world-dairy-producers-cry-foul-over-canadian-milk-products-deal and this is Ryans fault how? Why doesn’t Grassland cut back some of the big farms that supposedly can’t find any help except illegal immigrants? That way it would kill 2 birds with 1 stone and not kill the family farms. Carrie, I shared this on my facebook page to spread the word and help make people aware of what’s going on. Let me know if this is not something you want and I’ll take it off my page. The facts are that Canadian dairy farmers have always refused to lower prices to better serve our own citizens, but can somehow take a lower price to undercut US product. The hypocrisy of that is staggering, the inability of many Canadian producers to understand how hypocritical we are is shameful. I grew up on a dairy farm and know the hardwork and struggles that go into this lifestyle. I also know many (if not most) farmers in Wisconsin, vote Republican. The Republicans have been harming the small family farm for decades. They have helped the enormous factory farms that pollute our wells, destroy our idyllic back country roads and ultimately harm the life of a cow, become the Golith that suffocates out family farms. Farmers, particularly traditional Wisconsin family farmers, need to educate themselves on which government might offer more protection to survive and thrive. Stop voting for deregulations, which directly aid the factory farm, and start voting for the environment, community programs and support small businesses.